The multi-sandbox project is under continual improvement. In June 2018, we announced our integration with Dr.Web vxCube. Today we are happy to announce an update to Dr.Web vxCube that adds support for Android. With more than 2 billion active android devices, having visibility into android is a very welcome feature. Note that this adds to other multi-sandbox Android setups such as Tencent HABO for Android and VirusTotal Droidy. We are proud to introduce our newest malware analyzer that now supports Android platform – Dr.Web vxCube 1.2. It maintains the same fast and versatile functionality when working with the Android files. 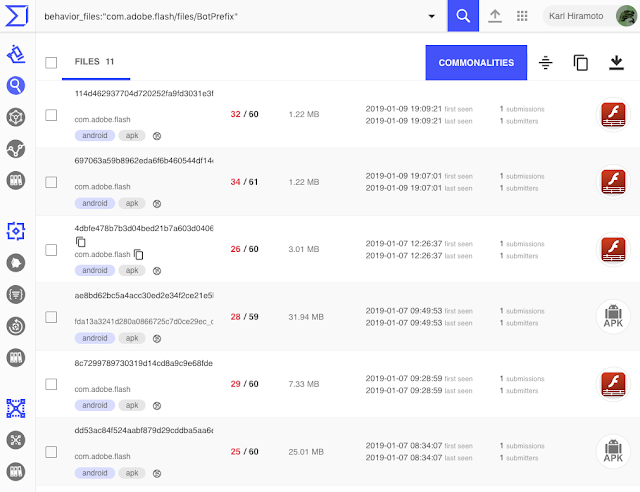 Dr.Web vxCube 1.2 conducts a thorough analysis of APK files and provides in-depth reports on their behavior in the sandbox environment, including information about SMS and calls they could try to make. Moreover, each report includes manifest information with a full list of app’s permissions, activities, broadcast receivers and services. 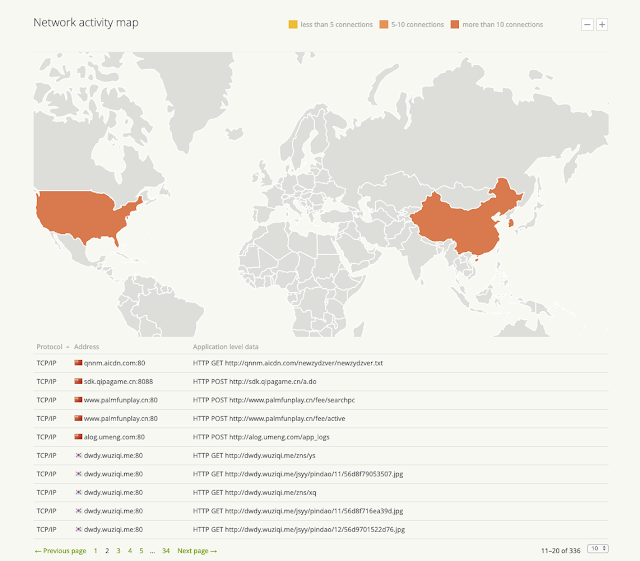 At the top of the detailed report we can clearly see a detection summary for this APK file. Note that it display a verdict based on execution behavior, this verdict may complement Doctor Web’s antivirus engine running in VirusTotal. The network activity map, visually shows where the traffic goes, along with protocol and address information. With VT Graph you can see all the relationships above in a single nodes and arcs graph enriched with the historical knowledge of the VirusTotal dataset. Forget about having dozens of open tabs to investigate a single incident, one canvas is all you need. Moreover, as you can see above, you can easily generate an embeddable graph object in order to display your investigation in sites other than VT Graph. VT Enterprise users can try some more advanced searches using search modifiers in order to identify interesting samples based on behavioral observations and other structural and in-the-wild metadata. Similarly, the behavior-scoped modifiers can be combined with any other facets in order to pinpoint not only malware families but also their command and command-and-control servers, drop-zones, additional infrastructure, etc. We look forward to keep working close with Doctor Web, meanwhile we continue to encourage other sandbox setups to join the multisandbox project.